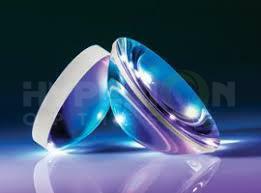 Cylindrical Lens can be used in a single axial convergence or divergence of the beam and found in optical measurement, laser scanning, spectroscopy, laser diode output beam shaping, the X-ray light microscopic imaging, and many other industries and fields have a wide range of applications. When z is greater than f, the expansion ratio approaches z/f, and the length of the line is proportional to z. If need in the z produces width is very narrow line light source, can be in the plane concave cylindrical lens front end or back end of a flat convex cylindrical lens focal length for z, with the orthogonal plane concave cylindrical lens place, to compress the beam width. The laser diode output beam diverges in an asymmetric form, and its quasi-direct work is more challenging. for example, to divergence angle theta. Theta 1 x 2 = 10 ° x 40 ° diode light source, if only use the standard spherical lens, and only in a single direction on collimating, another direction divergence or convergence will happen. 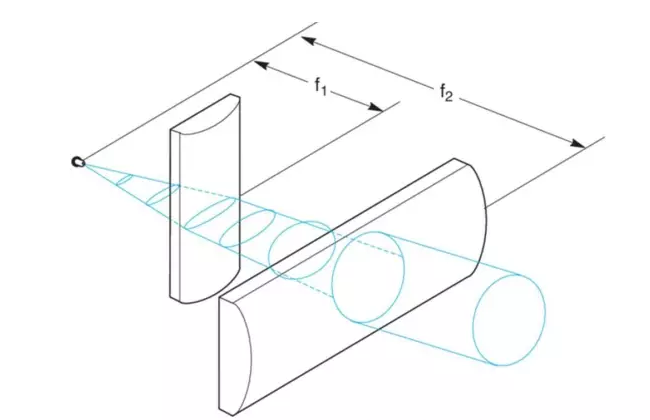 Using a cylindrical lens that the problem is decomposed into two one-dimensional directions, through the combination of two orthogonal cylinder lens, two directions can be collimated at the same time. 1)To make the spot symmetrical after the adjustment, the focal length ratio of the two cylindrical lenses is equivalent to the divergence angle. 2）The laser diode can be approximated as a point source, to get the collimating output, The spacing between the two cylinders and the light source is equal to the focal length of the two. 3）The spacing between the main planes of the two cylinders should be equal to the difference between the focal length of the f2-f1, and the actual spacing between the two lenses is equal to BFL2 - BFL1. Like the spherical lens, the convex side of a cylindrical mirror should be directed toward a quasi-direct beam to minimize as much as possible. D2 is equal to 2f2, the tangent of theta one half. Although there is still a little asymmetry, the simple combinations of these two cylindrical lenses have greatly improved the quality of the beams.